It's been two months since my last post. Meanwhile, I've been traveling a lot and also have been working very hard for the upcoming donabe cookbook. Hopefully, I can start to post blog entries on a regular basis again. So, please stay tuned. 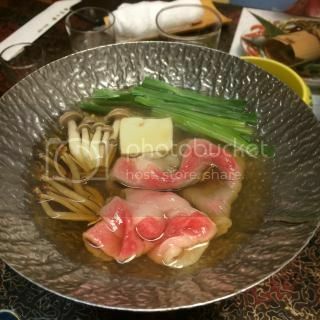 This time, I would like to post some autumn delicious dishes from my trip back in Japan last month. 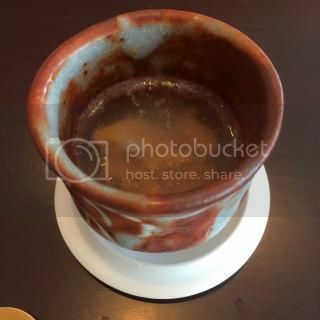 Yes, I had many delicious donabe dishes! 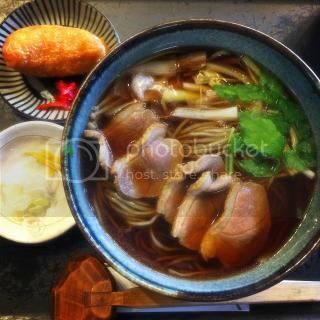 Kamo Nanban (duck soba) from a local handmade soba restaurant in Urawa is always nice. 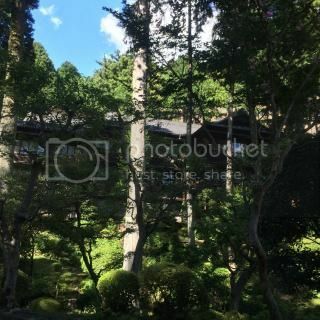 I took shinkansen (bullet train) to Nagoya to visit a friend. 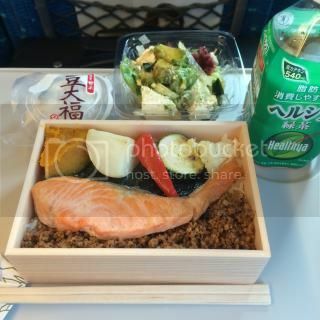 I had a bento (lunch box) of grilled salmon, seasoned ground chicken, and vegetables over rice. 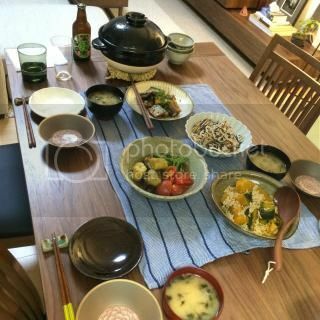 At my friend's house in Nagoya, she made gorgeous dinner, including kurakake beans rice, cooked in double-lid donabe rice cooker, "Kamado-san". It was delicious. We had a weekend getaway travel together. 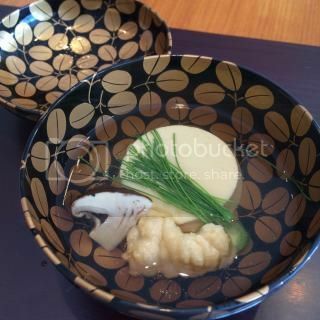 On the way, we stopped by in Tajimi to have lunch at a famous udon restaurant there. 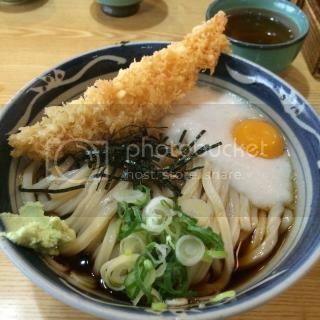 They are known for thick udon with a large shrimp tempura and raw egg on top. 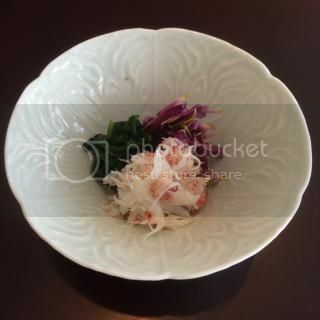 It's called "tenkoro", and I requested it with an extra topping of grated mountain yam. So good and so filling. After a few hours of drive from Nagoya, we arrived in Gero, a famous town for onsen (hot springs). 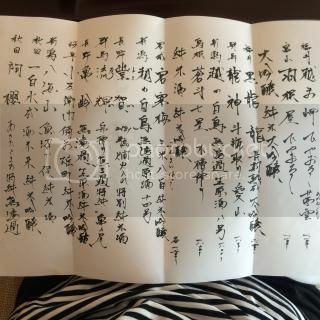 We stayed at a historic ryokan (Japanese-style inn) there and enjoyed local sake and dishes including Hida beef shabu shabu. 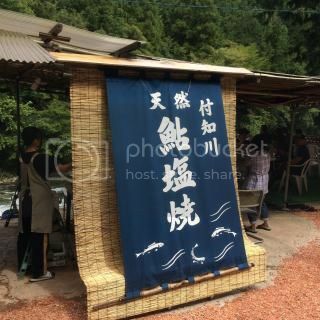 The next day, we stopped by at a seasonal outdoor ayu (sweet fish) restaurant by the river. 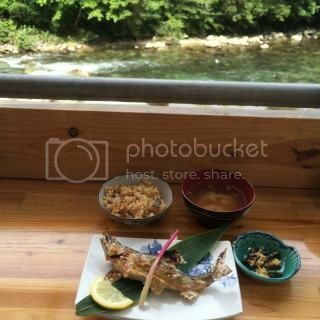 They cook freshly caught ayu from the river right below the restaurant. 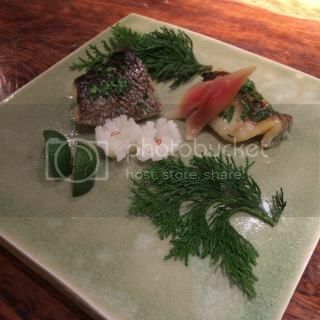 The grilled ayu and ayu rice were so tasty. As we drove back to Nagoya, we enjoyed the scenery of the autumn season. 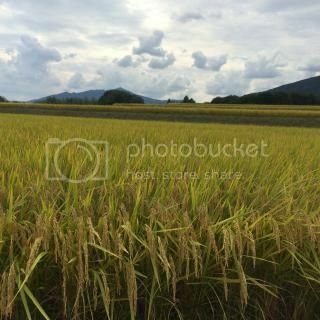 Rice field was almost ready for harvest. 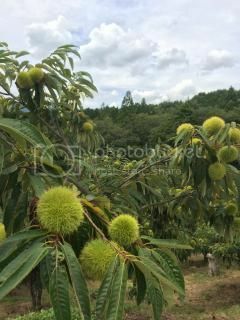 We also stopped by at a chestnuts farm to pick up freshly harvested chestnuts from there. 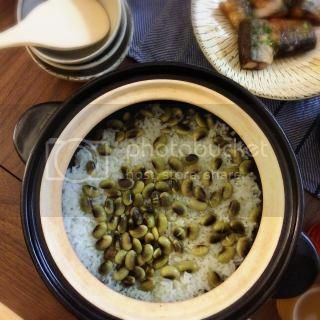 So, after we got back to Nagoya, I made chestnuts and mushroom rice dish with double-lid donabe rice cooker, Kamado-san! It was such a delicious seasonal treat. 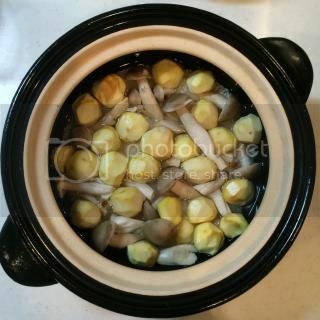 (The first picture is before, and the second picture is after the dish is cooked.) 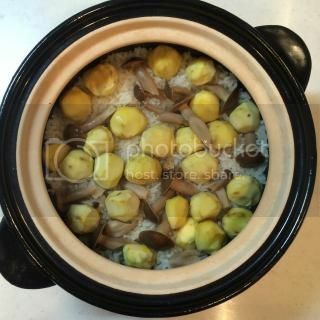 I will post my chestnuts rice recipe in toiro kitchen's website soon. In Nagoya, my friend took me to nice local places. 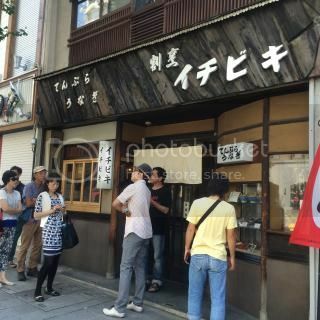 We waited in line to taste at a famous "hitsumabushi" (Nagoya-style unagi over rice dish) restaurant. 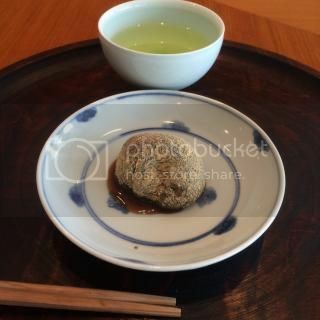 To eat "hitsumabushi", you serve a small portion into a separate bowl at a time and enjoy in 3 ways in the following orders. 1. With no other condiments. 2. With sansho (ground Japanese mountain pepper). 3. With a dashi broth poured over it. 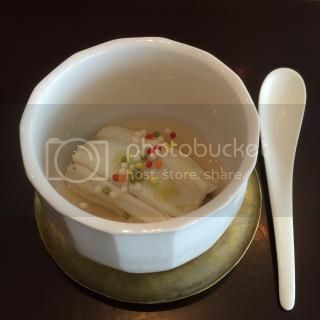 Then, for the any remaining eel and rice, you can enjoy with your favorite way from these three. The dish was so dynamic and delicious. It was a real power lunch. On another day, she took me to an old house that is turned into a restaurant. We had lunch overlooking their garden. Such an elegant time. 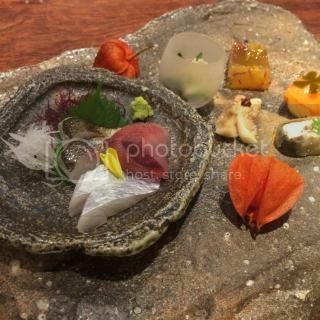 Back in Tokyo, I went back to Ichirin to taste Chef Mikizo Hashimoto's specially elegant meal. His dishes were truly amazing! 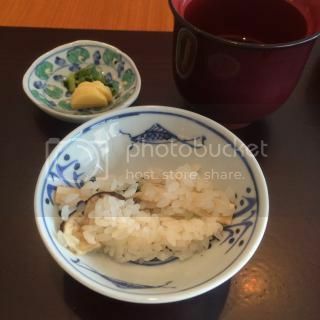 His donabe rice dish was matsutake mushroom rice. I loved the every detail of it. Right near the high school and university I graduated from in Aoyama, I met a friend of mine at a hidden place for lunch. 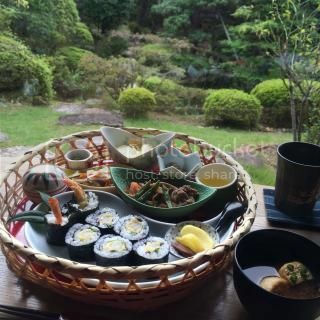 The restaurant is called, Ame Nochi Hare. 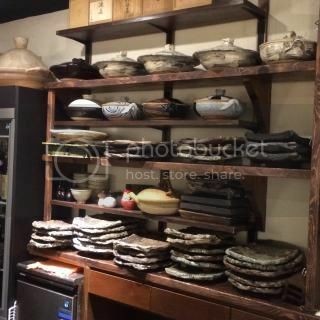 They serve various donabe dishes there. 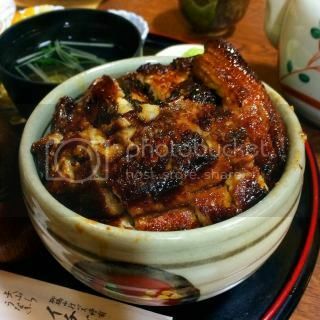 They use double-lid donabe rice cooker, "Kamado-san", for their rice dish there! 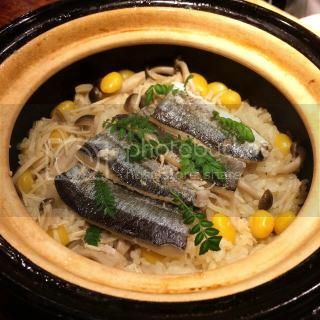 The donabe dish of the day was sanma (mackerel pike) fish and gingko rice...what a beautiful seasonal treat! It was a short stay of less than two weeks, but I did a lot of eating, drinking, and shopping as always. I had so much fun with my family, too. 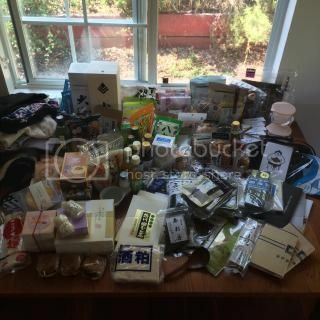 Also as always, I came back to LA with tons of stuff...what's on the photo was not everything. I had one more box of goodies but they couldn't fit the table! Happy Donabe Test Kitchen for My Birthday!